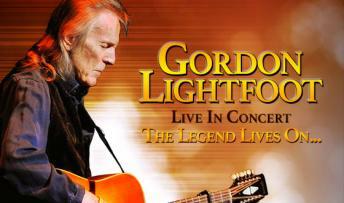 Gordon Meredith Lightfoot Jr. CC OOnt is a Canadian singer-songwriter who achieved international success in folk, folk-rock, and country music. He is credited with helping to define the folk-pop sound of the 1960s and 1970s. 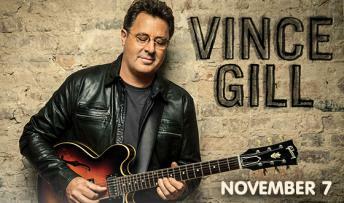 One of the most popular and most recorded singers of the past quarter-century, superstar VINCE GILL has become the measure of excellence in country music. His vocal performances are spellbinding, his songwriting emotionally powerful and his guitar-playing world-class. Gill, along with his top-notch band will be performing at the Ovens Auditorium in Charlotte on Wednesday, November 7 at 7:30pm. 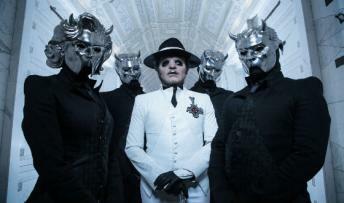 Grammy Award-winning band Ghost is coming to Ovens Auditorium on December 2! Ghost’s critically acclaimed fourth sacred psalm Prequelle has debuted at No. 3 on the Billboard Top 200 Albums chart, No. 2 Top Current Album, No.1 Rock, and No. 2 Vinyl, with 65,653 albums sold. Ghost announced Prequelle alongside the album’s lead single “Rats” on April 13, 2018 and introduced fans to the band’s new singer Cardinal Copia. Prequelle follows Ghost’s third studio album, Meliora, and its accompanying EP Popestar, which elevated the Swedish rock band into the pantheon of the greatest rock bands on earth and resulted in a Grammy Award for ‘Best Metal Performance.’ Meliora debuted at No. 1 at Independent Retail, No. 2 at Rock, and in the Top 10 on Billboard’s Top 200 Albums Chart, selling over a quarter million copies globally.